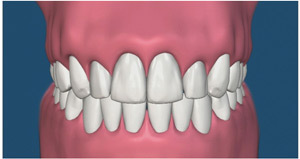 Bad News: Periodontal disease is the major cause of tooth loss in adults. Good News: Periodontal disease, if detected early, can have very successful treatment results. 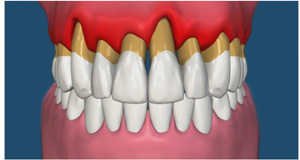 The gums become swollen and begin to pull away from the teeth in later stages of periodontal disease. People who smoke or chew tobacco are more likely to have periodontal disease. And it's more likely to be more severe than in those who do not use any tobacco products. Some systemic disease, such as diabetes, can lower your body's resistance to infection, making periodontal diseases more severe. Bridges that no longer fit properly, crooked teeth or fillings that have become defective can contribute to plaque retention and increase your risk of developing periodontal disease.